You have several packages to choose from to make your fishing experience just the way you want. Or if you've got a better idea, let's hear it! Reel Dreams Makes Adventure Easy! 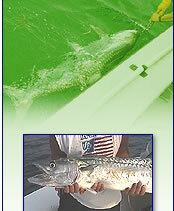 All bait, tackle and licenses are provided in the cost of these fishing adventures. The Reel Dreams can accomodate up to three guests and Captain Jim will gladly teach new anglers to fish like pros. For four adults please add 50.00. Call today and book the experience of a lifetime!